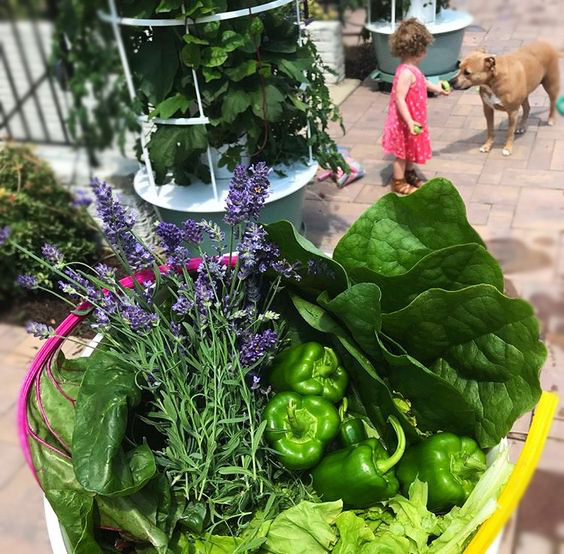 Fulfill your plant life now and all year long by growing your very own fresh favorite luscious super greens, veggies, fruits, and herbs more simply than ever before! You can grow outdoors using natural sunlight or grow indoors using either natural sun light or our grow light system. We live in a time where it’s an excellent idea to start learning how to grow our very own foods. We grow what we love to eat and we surround ourselves with nutrition. Waking up to the provisions our bodies need daily, makes it that much easier for us to care for ourselves naturally and simply. Vertical Aeroponic growing systems are perfect for tiny home style Living! Add it into an open area and grow your own food yearly! 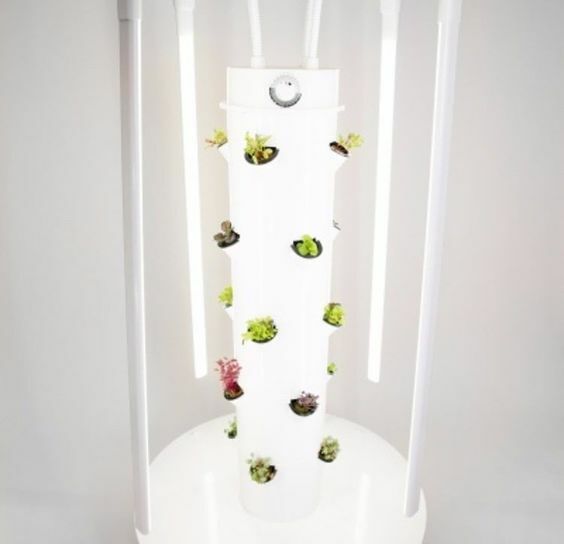 This vertical aeroponic growing system allows you to grow up to 20 (28 using the extension kit) vegetables, herbs, fruits, and flowers in less than three square feet; used indoors or out. Its the perfect companion in your journey toward healthy living. Aeroponics grows plants using only water and nutrients, instead of dirt. Research has found aeroponic systems grow plants three times faster and produce 30% greater yields on average. That means you'll be enjoying abundant, nutritious harvests just weeks after planting! As you need seeds you can buy all different types of Organic Non-Gmo seeds. You can buy seeds from your local natural plant shop. You can also buy organic seedlings with the plant already started for you. That means all you have to do is place them right into your aeroponic vertical garden. *Garden Tip: Buy and use fresh seeds yearly. Never grow seeds that are expired or over a year old, because they won't grow. These nutrients are specially designed for this soilless aeroponic growing system. It is a mineral blend that supports superior plant growth and enhanced nutrition for all your homegrown vegetables, herbs, fruits, and flowers. When you order your vertical garden it comes with the needed nutrients. When you need more simply order more from my shop link. This aeroponic garden also recycles! The water and nutrients recirculate in the closed-loop system over and over again. Vertical Aeroponic growing systems are being used by companies in Colorado to grow medical cannabis. The Vertical Tower Grow Lights Kit allows you to easily grow leafy greens, herbs and other non-fruiting crops indoors all year-round! Old grow lights in image above - see above for the new designed grow lights! Spray your outdoor aeroponic garden down with the hose each week to help keep it clean and bug free. Regular harvesting and pruning your plants will also rob pests of places to hide and prevent the growth of any plant disease. Clean away any dead plant leaves. If you see something crawling around on your aeroponic garden, don’t panic. There are a number of bugs you want to see in your garden, including pollinators like honey bees and pest predators like ladybugs. When spraying your aeroponic garden for bugs always spray in the morning, before sunrise, or late in the evening. Never use old bug sprays either, just use within 1 year and toss.